Credit cards can be an issue for many. According to Experian, the average American has a credit card balance of $6,375. Credit card debt has reached its highest amount – more than $1 trillion dollars – according to a report by the Federal Reserve. So if you find yourself in more debt than you could imagine here are a few strategies to pay off that credit card debt. This may seem cliche, but having a budget and really sticking to it is key. Most often, not all the time, we may rely on our credit cards because we do not have a financial plan for our money. 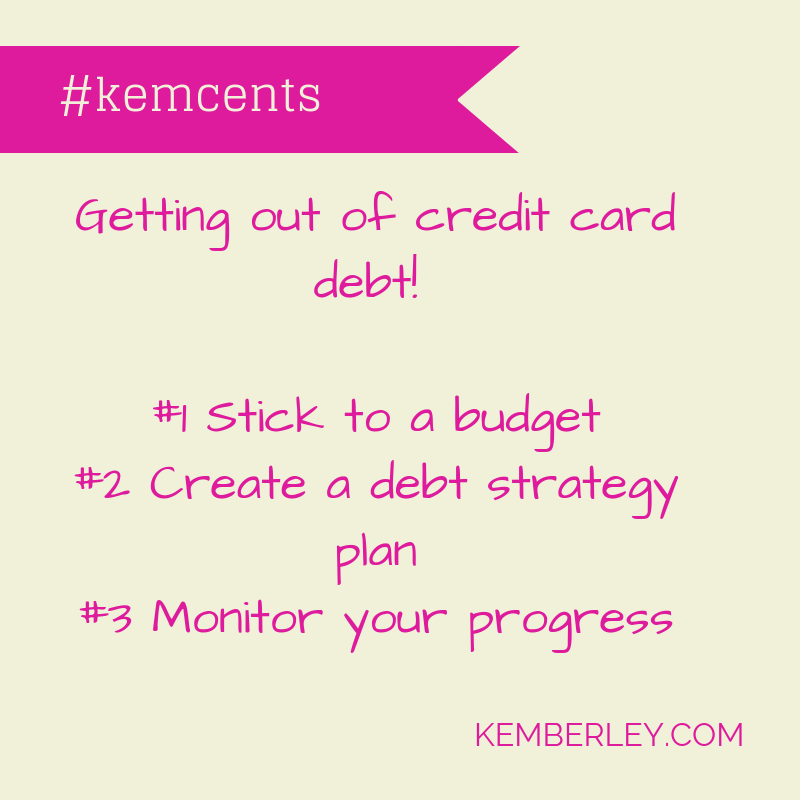 When I found myself with tons of credit card debt, I decided to stick to a budget. This small but yet powerful tool, help me to not overspend and rely on my credit card less and less. If you find yourself needing help with sticking to your budget, check out my book, It all starts with a budget! Take time to understand exactly how much you need to get out of credit card debt. Let’s say for instance if you owe $12,000. Well for the next month, make it a goal to earn an additional $1,000 of income. This could be done by taking on a second job, selling items in your home, and turning your passion into cash. 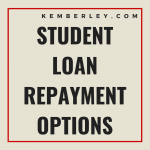 Use the extra money you receive for the additional items and apply to your credit card debt to get out of debt. If you find yourself in tons of credit card debt, consider a simple slogan for your life – Just say no! This just means that if you struggle with the credit cards – let them go. It may not be a good thing to close the account, because this could possibly reduce your credit score, but you may want to consider cutting up your cards and not using them at this time. Know that death in life is in the power of the tongue. If you always say, “It will always be this way,” chances are it will. No matter how it looks, declare that things will change, God will supply your needs, and your debts are canceled and dissolved. Think positive and be patient with yourself. Know that some things may take time, but know that it can and will turn around! Kemberley Washington is a certified public accountant and owner of Washington CPA Services, LLC. She is the author of several books, including It all starts with a budget!